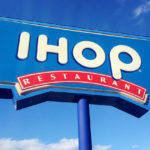 We’ve come a long way in the world of fast food. 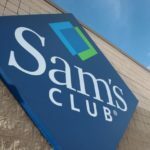 From the standard burger and fries to tacos, sandwiches, breakfast and even ice cream, not only can you pretty much get any food you want in just a few minutes, but it’s even gotten to the point where we don’t have to leave our house thanks to delivery services like Uber Eats and Grubhub. But still, there is always room for more. 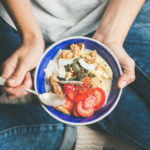 If even heading to the front door to get your food is starting to wear you down, McDonald’s and La-Z-Boy have teamed up to give one lucky fan the ultimate treat in “comfort food” — the McDelivery Couch. Designed to make every part of your McDelivery with Uber Eats experience even better, you can not only enjoy your meal from what is no doubt the best seat in the house, but also order your meal from it and store your food with built-in coolers. 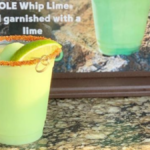 The coolers, called McFlurry chillers, will keep your dessert chilled at 33 degrees while built-in phone chargers will ensure your phone is always charged so you can order your food right from the couch. There are also light-up cup holders and adjustable reclining seats, and the couch features stain-resistant fabric, a must for all the eating you’ll be doing on this white couch. 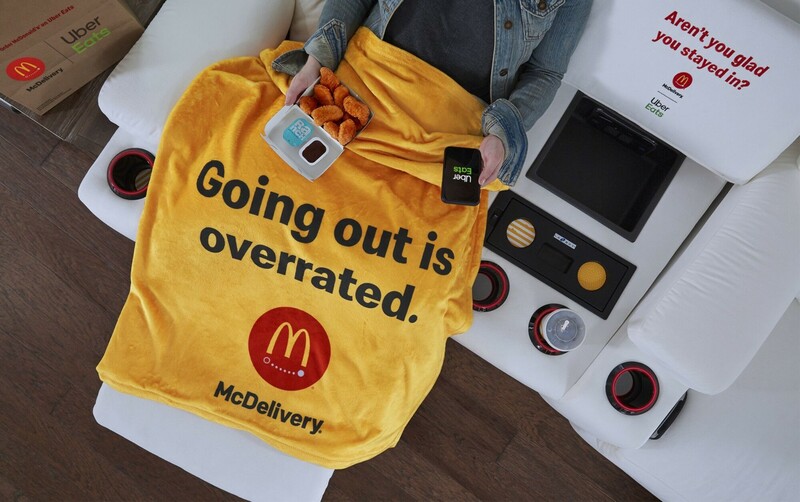 You’ll also get a McDelivery with Uber Eats blanket, so you can stay cozy while enjoying your favorite food. So, how do you go about winning this glorious couch? 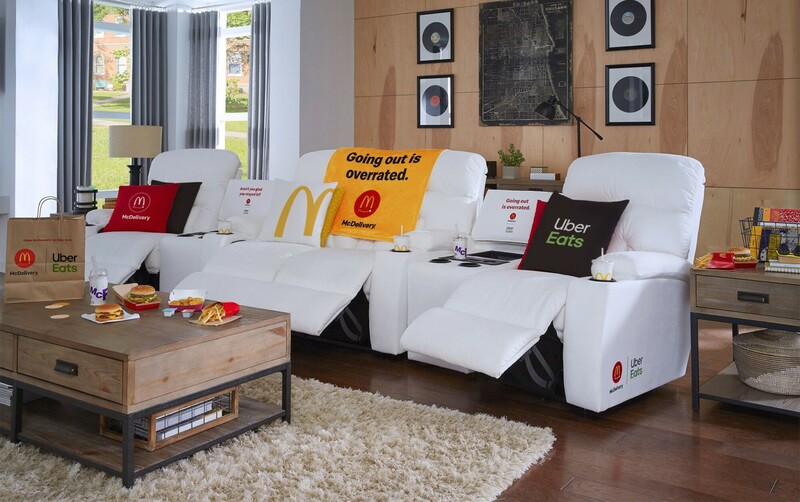 Simply tell McDonald’s the menu items you’d want delivered to the McDelivery Couch with Uber Eats and tag #McDeliverySweepstakes, @UberEats and @McDonalds on Twitter. That’s it! You are officially in the running. The sweepstakes ends on April 8, so you only have a few days left to enter, but you can enter once per day until then. You can read the official rules on McDonald’s website. 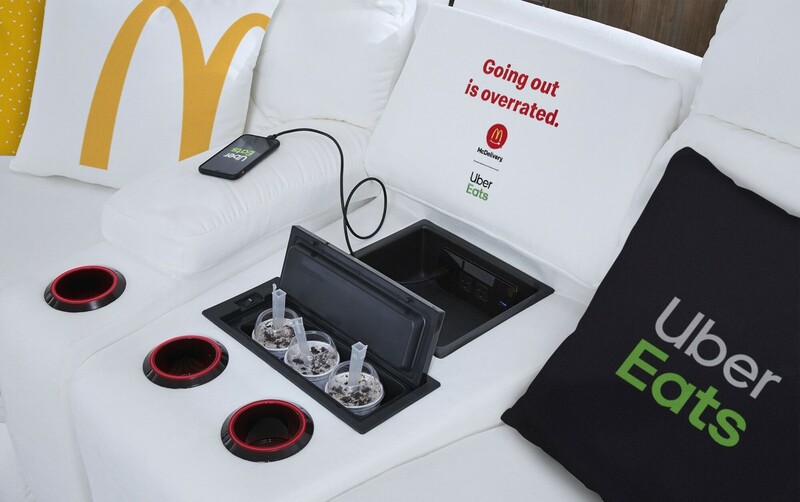 Would you love to have the McDelivery Couch with Uber Eats in your living room?